Smoking takes much longer than traditional barbecuing, as it slow cooks meat using indirect heat. Impart flavor to the food by adding different types of wood chips to the fire or using beer or fruit juice as a moisture-providing liquid instead of water. The Brinkmann Smoke 'N Pit has a grill or cooking chamber for the meat on one side with a firebox on the end of the smoker for the wood or charcoal. Place a clean tin can under the grease hole on the back of the smoker. The smoker comes with a holder specifically for the can. 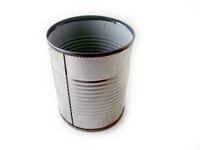 Use something like an empty soup can with the paper label removed. Place the charcoal grate in the firebox and the cooking grills in the cooking chamber. Place 5 to 6 lbs. of charcoal on the charcoal grate. Saturate the charcoal with charcoal lighting fluid and let it set for about three minutes. Leave the firebox door open. Open the firebox air shutter 1 to 2 inches, with the smokestack damper halfway open. Light the charcoal with a flame and allow the charcoal to burn until it is a light ash color. This takes about 20 minutes. Wait for the lighter fluid to burn off before closing the door to the firebox. Place food on the cooking grills and close the lid. Cooking temperatures should be between 175 and 250 degrees Fahrenheit. Cooking times vary depending on what food you are smoking. A brisket will typically require one hour for each pound of meat. Use a meat thermometer to check for doneness. Add more charcoal to the hot coals, if needed. Depending on what you are cooking, the process may take several hours, during which time the charcoal may burn out completely and you may need to add more charcoal. Use tongs when adding new charcoal to hot coals. Add wood to the charcoal if desired to add flavor. Do this while the coals are burning,and use cooking tongs. Before using a brand-new grill for the first time, pretreat it by coating all internal surfaces (except charcoal grates or trays) with vegetable oil, placing a tin can under the grease hole and lighting the fire as normal. Add a pan of liquid under the meat to catch the juices and add moisture to the meat. Don't use charcoal pretreated with lighter fluid. Never use gasoline. Never use the smoker indoors, and always place it on a level surface at least 10 feet from flammable materials.